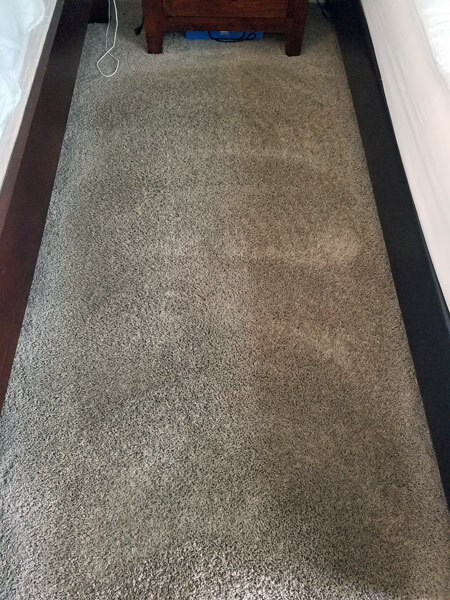 This carpet stain was removed for a home owner in Lutz FL. The home owner's daughter was ill and in the middle of the night he had gotten sick on the carpet. 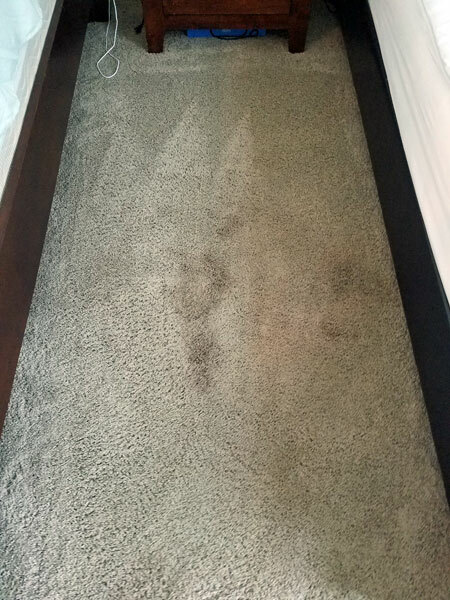 The home owner had tried to remove the stain but he was unable to remove the rest of the stain in this thicker shag carpet. The solution to his problem was Chem-Dry's carpet cleaning solution called The Natural. It's a powerful green certified carpet cleaning solution that uses the power of carbonation to remove difficult stains in the carpet without leaving dirt attracting residues behind. The Natural is specially designed to suspend the carbonated bubbles in cleaning solution while being heated to 180 degrees. This combination of heat and carbonation makes for an extremely powerful carpet cleaning solution. It's so powerful that we use 80% less moisture than other professional carpet cleaners. Less moisture means shorter dry times. Our carpets dry in two hours not two days. This particular carpet in Lutz FL came very clean and was quite dry when we were done cleaning. The home owner told use that we cleaned the office where he works and he was impressed with the carpet cleaning there. He was so impressed that he decided to invite us into his home to help him with carpet issues. To be safe we sanitized the area where his daughter had gotten ill to make sure there was no harmful bacteria left in his carpet. His carpet was drier, cleaner, healthier when we were done. If you need carpet cleaning in Lutz FL call Chem-Dry of Tampa today.